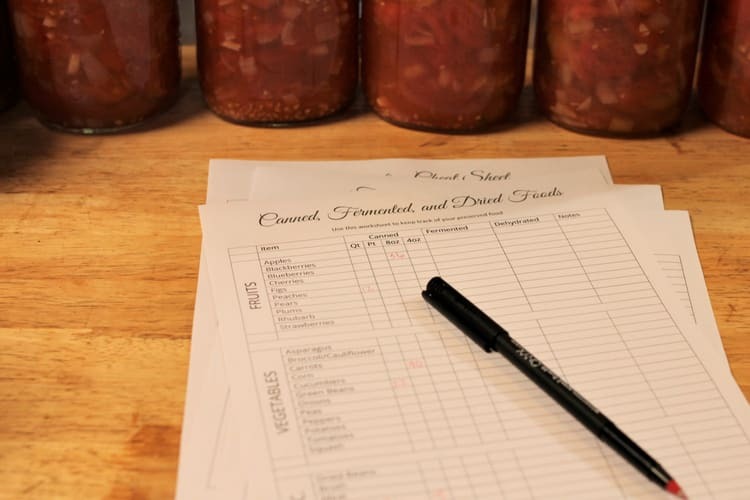 Are you trying to make the most of the harvest bounty by preserving your own food, but aren’t quite sure how much you need to feed your family? Do you preserve food each year that ends up being chicken feed because it “got lost” in the back of the pantry or bottom of the freezer? All of us have experienced both of those issues. But we don’t have have be stuck there. I created these preservation worksheets to help you figure out and keep track of how much of each item your family needs for the year and where those items are stored. Plus there’s a preservation cheat sheet so you can, at a glance, know if a fruit or vegetable can be froze, dehydrated, pressure canned or water bath canned. Just fill out the form below to subscribe to our newsletter and get the preservation worksheets emailed to you. You’ll also get access to our subscriber library that’s full of other helpful worksheets and printables.